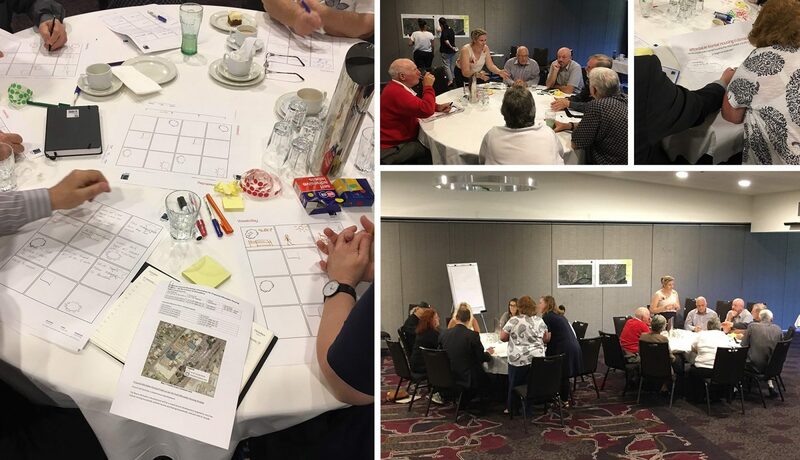 Yesterday, Mark, Margie and I facilitated a workshop with tenants of low cost housing; a local housing provider, Southern Cross; and community representatives, the Pride of Bomaderry. 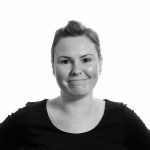 Edmiston Jones provided pro bono services to the Property Council of Australia who organised the event in collaboration with Shoalhaven City Council (SCC) to develop a brief for affordable housing in Bomaderry. The catalyst for the project is the immediate need for affordable housing in the Shoalhaven that was outlined in the Draft Shoalhaven Affordable Housing Strategy by SCC. 46% of the renting population are spending more than 30% of their weekly income on the immediate costs of housing. This rate of expenditure on housing is known as ‘housing stress’. 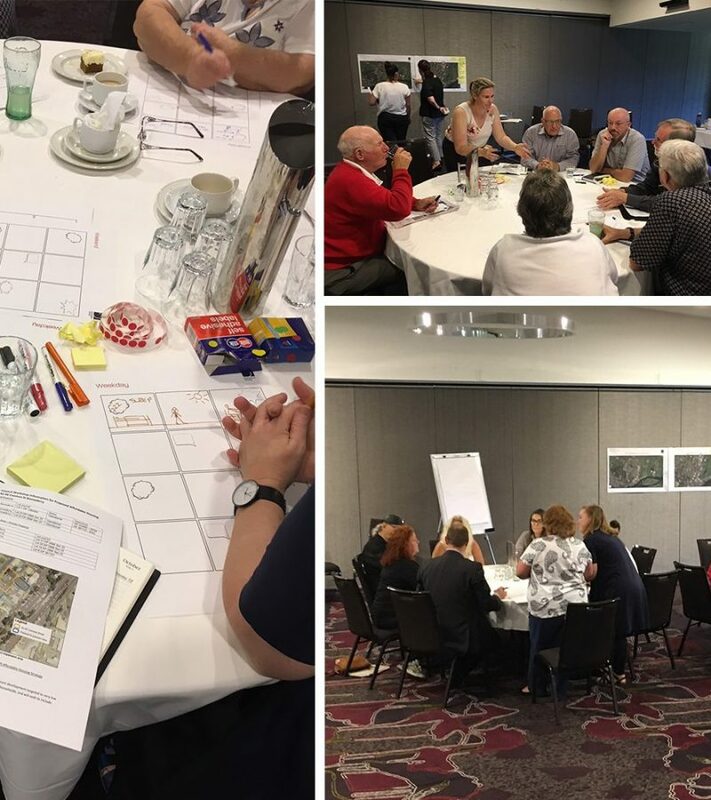 Yesterday’s workshop was a critical step in gaining information and insights from the Bomaderry locals. Coloured dots were placed on maps to highlight what is great about their suburb and what could be improved. A collaborative Word Cloud brainstorm stretched everyone’s thinking on what the most liveable and affordable housing in regional Australia could look like. We ended the session with participants drawing and writing ‘a day in their life.‘ describing their activities over the course of a day. This informed a list of potential spaces that could be included in the development. The brief that will develop from this workshop will prepare the team for another event in two weeks time ‘The DA in a Day’. The aim is to compress the design/approval process into a one-day workshop that will see the collaboration between architects, consultant planners, engineers and council planners. A quantity surveyor and financiers will be sitting on the sideline to assess the project’s viability. Vacant land conveniently located adjacent shops and 500m from the railway station owned by Council has the potential to be developed to meet the need of low income rental housing and will be the site for the theoretical development. Having crunched the development process into a day, it is hoped that the principles developed will be applied to see this project become a reality.